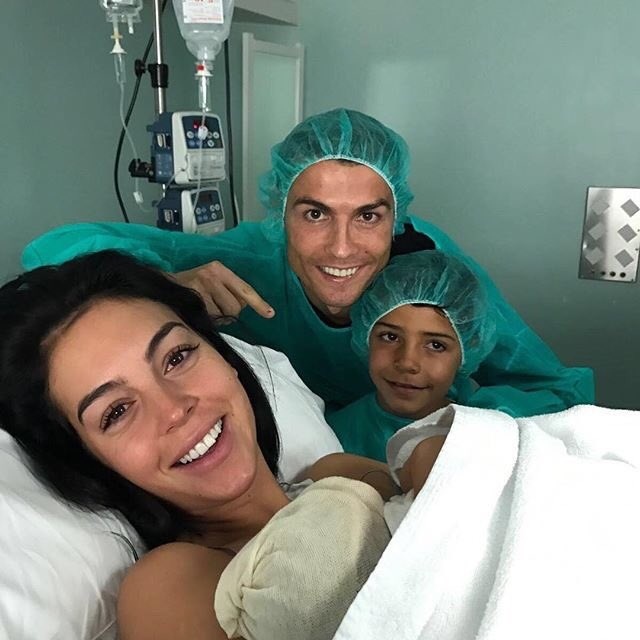 The goals may not be coming for Cristiano Ronaldo on the pitch at the moment, but the Portuguese is getting it right elsewhere as he welcomes his fourth child. The latest addition to the Ronaldo dynasty is a daughter delivered by the football star's girlfriend, Georgina Rodriguez. Interestingly, this comes just hours after the Real Madrid superstar was alleged to have cheated on his girlfriend with a reality TV star. Ronaldo uploaded a photograph of his girlfriend holding their baby girl next to him and his eldest son, Cristiano Jr. The family arrived at the Hospital Quiron Universal in Madrid, near the footballer's home on the nearby gated VIP estate La Finca, earlier on Sunday. In June, Ronaldo posted a heartwarming photograph of his new twins after they were born via a surrogate mother.